#39. 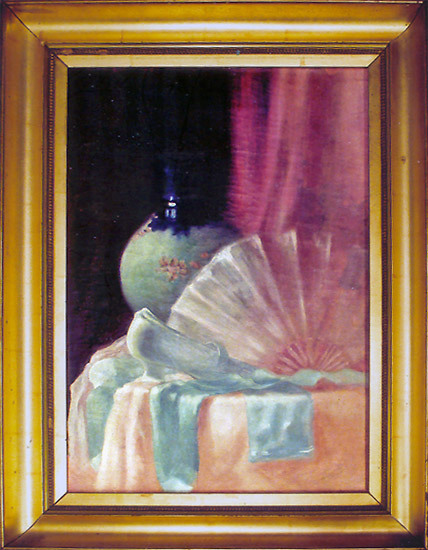 Oil on canvas, still life of a vase, fan and slippers. Signed Sharp. Framed size 25 x 19, unframed 21 x 15 inches.